When I first started homeschooling I asked everyone about the details of their homeschooling day/curriculum/life in general! I was desperate to learn EVERYTHING I could about this leap we were taking to teach our children at home. When I ran out of people to ask, the good Lord put, "Real Life Homeschooling" by Rhonda Barfield, in front of me and I promptly checked it out from the library. 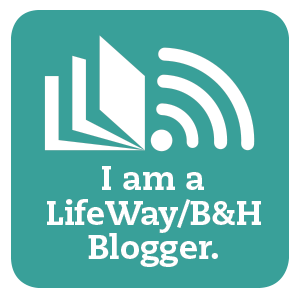 Real Life Homeschooling chronicles the lives of 21 different families, a typical day, a list of the curriculum they use, and their thoughts and reflections therewith. I was truly inspired. 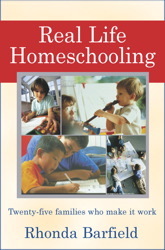 Through this book and other homeschool mom blogs, I learned how homeschooling is what you make it. There really is no wrong or right. I was encouraged, especially on those rough days. I realized I could do this! That is why, when I learned about The Homeschool Chick's weekly meme, "The Homeschool Mother's Journal", I knew I had to participate. 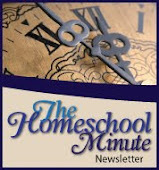 The Homeschool Mother's Journal has changed hands since then, but the concept is still the same. Parents get together each week, viritually, and share their homeschooling experiences and latest school/family related tidbits. I participated through elementry and middle school almost religiously. Then, as high school barreled on and I came across families afraid to teach at home beyond 8th grade, I knew I was being called to be a voice on the subject. God's provision of guidance and stories to encourage me in my journey of homeschooling has had such a huge impact on our lives. I feel He is calling me to be just one voice, among the many other wonderful voices, participating at week's end, sharing our experiences in homeschooling so others may be inspired and encouraged. Almost every week, around Friday/Saturday, I share a post about school from the week. I hope you will join me! I haven't updated this page with the weekly articles since 2013! However, I have continued to post 'journal' entries. I keep this list here for easy reference on our earlier years of homeschooling, however, you can see more current articles listed with a title tag of "HMJ" and follow their thread from my main page. It was a cold morning... one of the coldest in Phoenix for the year. Hard to believe we wore shorts and sandals yesterday... because Tuesday, it was COLD! We entered Arizona and almost instantly there was change. Not that, uh-oh, hold onto your boots kind of change. No. More of an almost back to normal change! I FINISHED LESSON PLANS!!!! Yes, all capitals, cause it is that great!